I’ve done my best not to be too specific with my descriptions of these geocaches. Nonetheless, my photos may give them away. 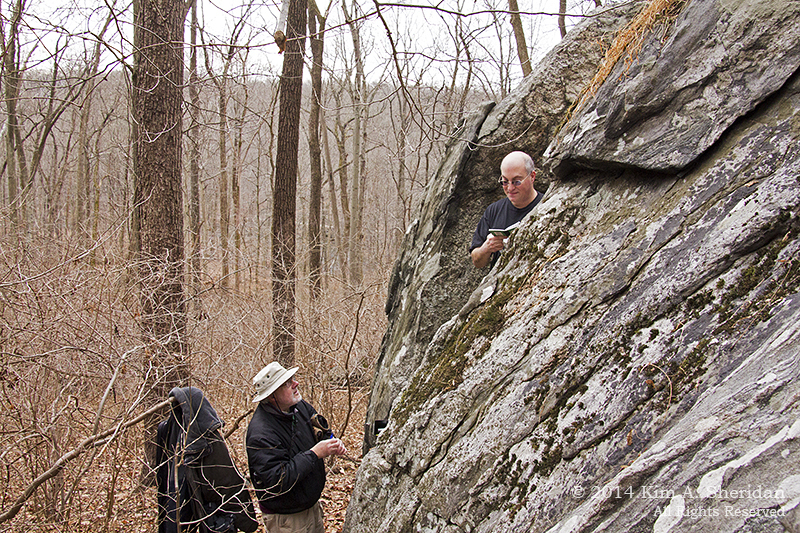 If you’re into geocaching, and haven’t done Ridley Creek State Park yet, continue reading with extreme caution. 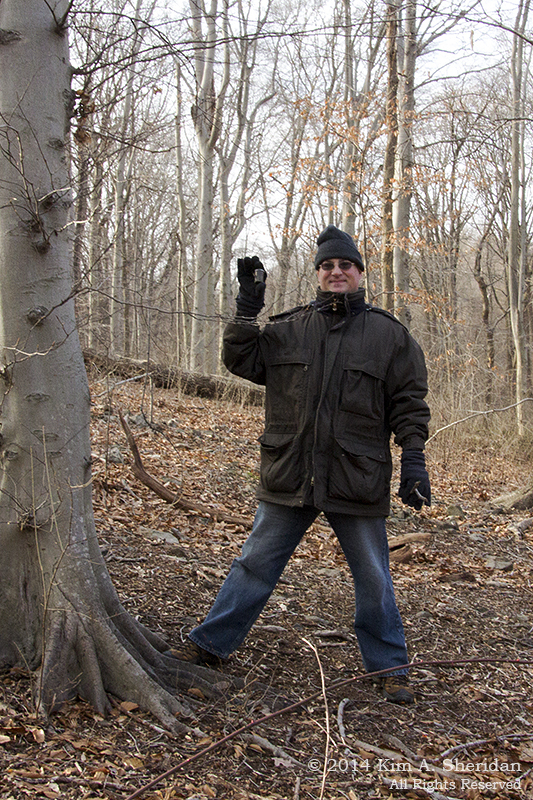 In between snowstorms, we decided to go geocaching at Ridley Creek State Park. Never heard of geocaching? Basically, it’s an outdoor treasure hunt. Game participants have hidden thousands – maybe millions – of containers in outdoor locations around the world. Containers usually hold a logbook and a number of small trinkets. The rule is that you can take an item from the container if you leave another item of similar value. 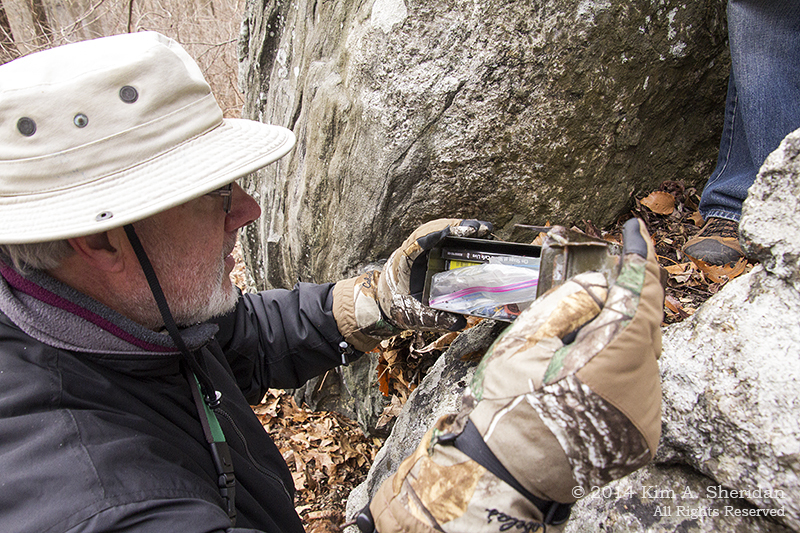 Participants search for the containers, known as geocaches, by using GPS coordinates. Or a smart phone app, as we did. Me Robb. Me make fire. Me real he-man. 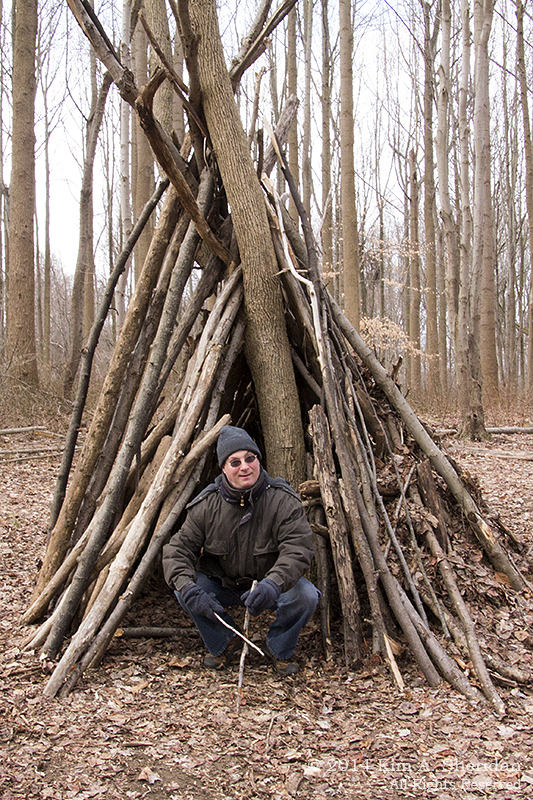 There are several of these tipi structures around the park, and Robb is always happy to pose ridiculously. The second cache took us to a different hillside on a different trail. This time I found the cache, which is why there are no pictures. In addition to my role as the official App Bearer, I’m also the Team Photographer. The logbook was frozen shut. It must’ve gotten wet at some point. 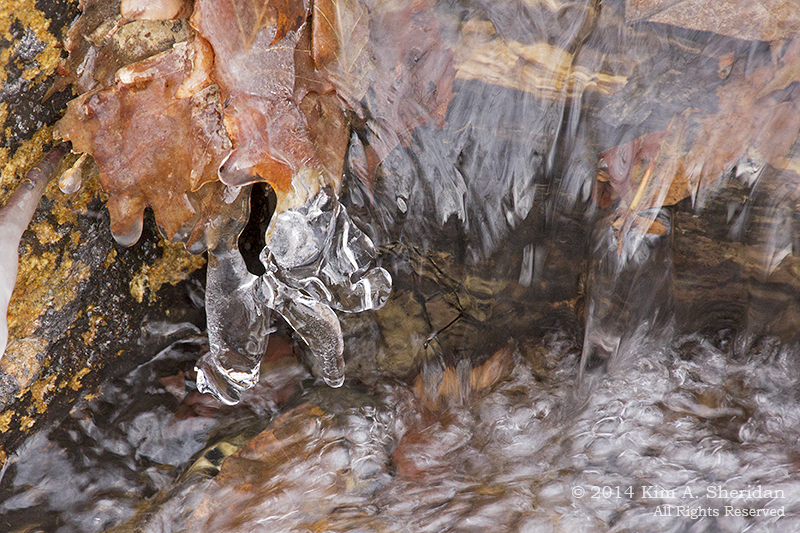 There may not have been snow, but it was cold enough for ice to decorate the fallen leaves along the creek. We saved the best cache for last. First, it introduced us to a whole new trail, which instantly became our favorite. 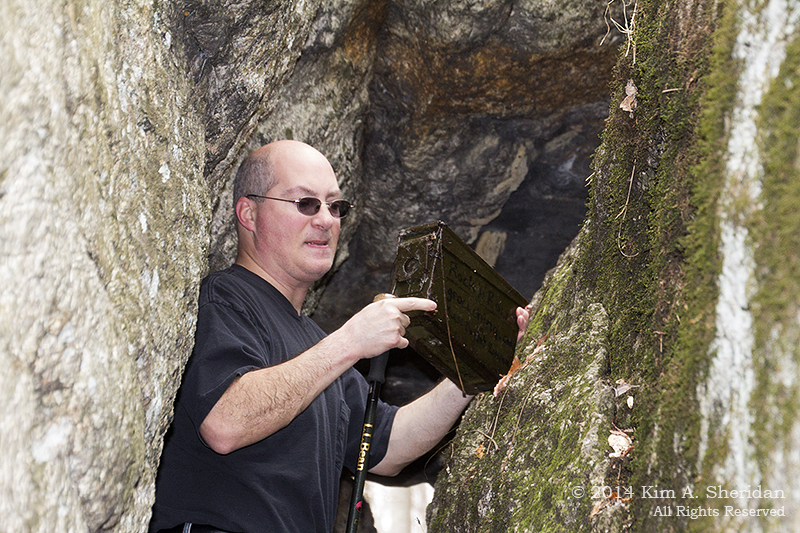 Second, the cache was challenging to get to, and even harder to find. 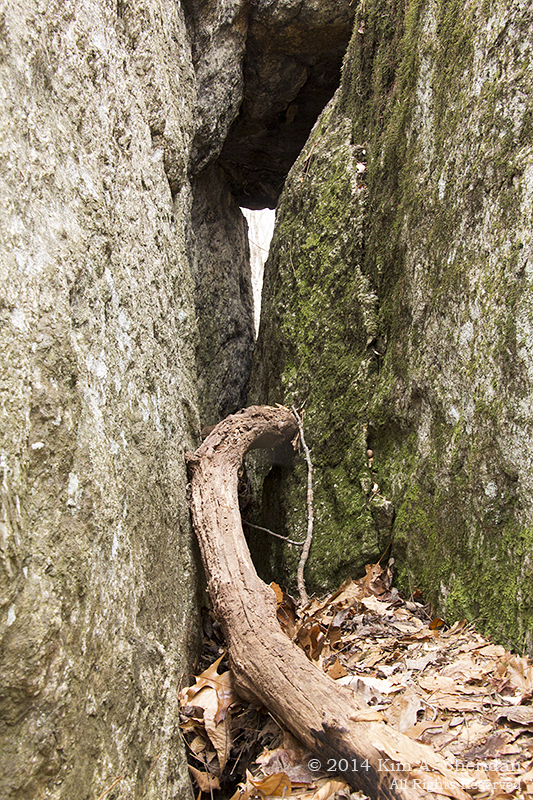 The side trail led down another hill until it died out at a rock outcropping. 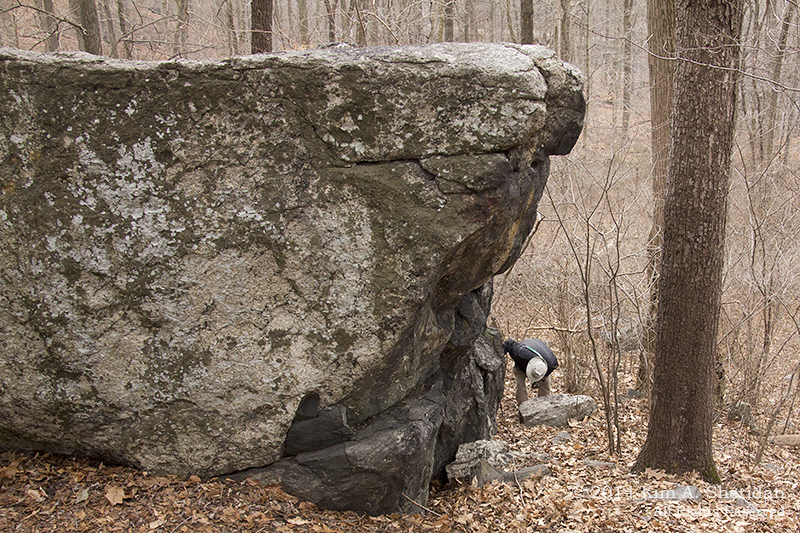 The boulders just screamed “HIDING PLACE!”, and since the name of the cache was “Rock and Roll”, we felt certain we had found the spot. The treasure proved elusive, though. Don was convinced that if he could just lift up the rock, our prize would be underneath. To retrieve it, Robb had to venture deep into the dark recesses of the rock, supported only by a flimsy branch, all the while beating off creepy, nefarious creatures with a magic staff. Is there no limit to his bravery? Don would wish me to inform you that the magic staff belongs to him, and therefore he deserves all the huzzahs. Don with the cache box. 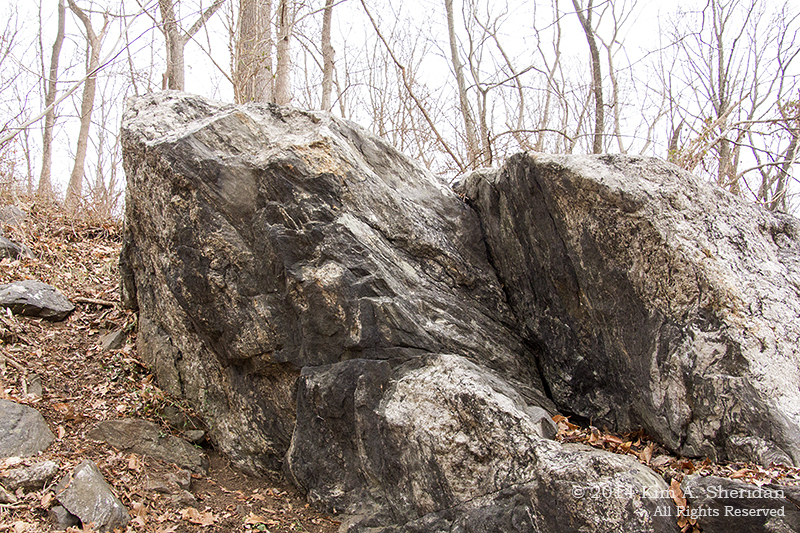 This is just a portion of the rock outcropping. It nearly ate Robb, while Don stayed safely out of danger. As Team Photographer and App Bearer, I, of course, was too valuable to risk. We logged our latest triumph, then followed the trail back to its source. After a nice lung-busting climb up a hill, and an even nicer knee-busting descent down the other side, much of the trail winds along the banks of Ridley Creek. 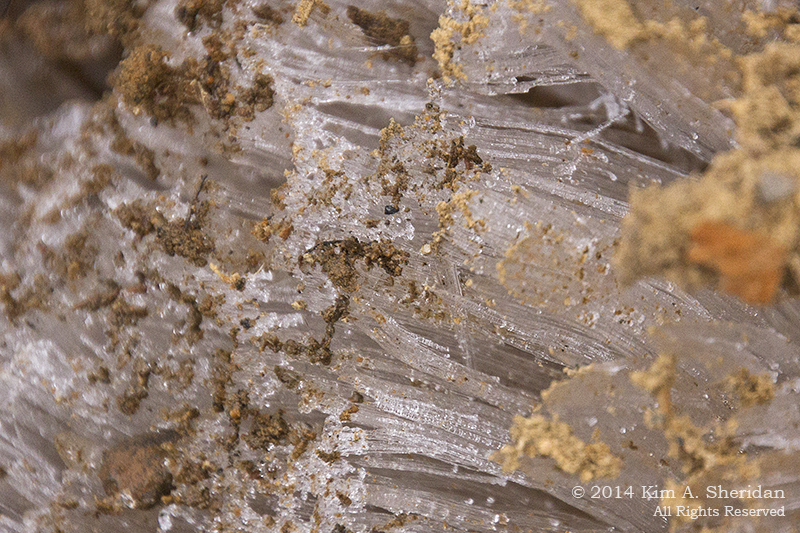 We saw quite a few of these tiny ice formations on the ground. They look like fiber-optic tubes. I kept expecting them to light up in neon disco colors. Try as we might, we could not figure out how they formed. 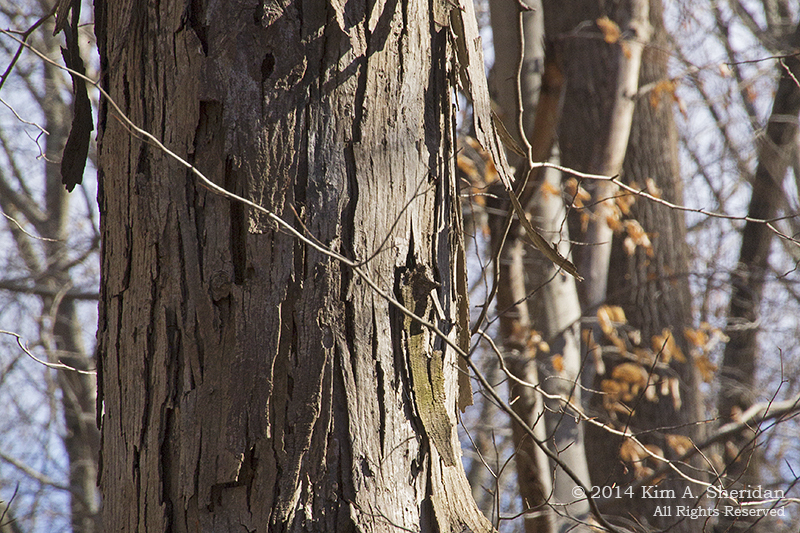 Tree of the day – Shagbark Hickory. Geocaching was a lot of fun, and we are keen to try it again. 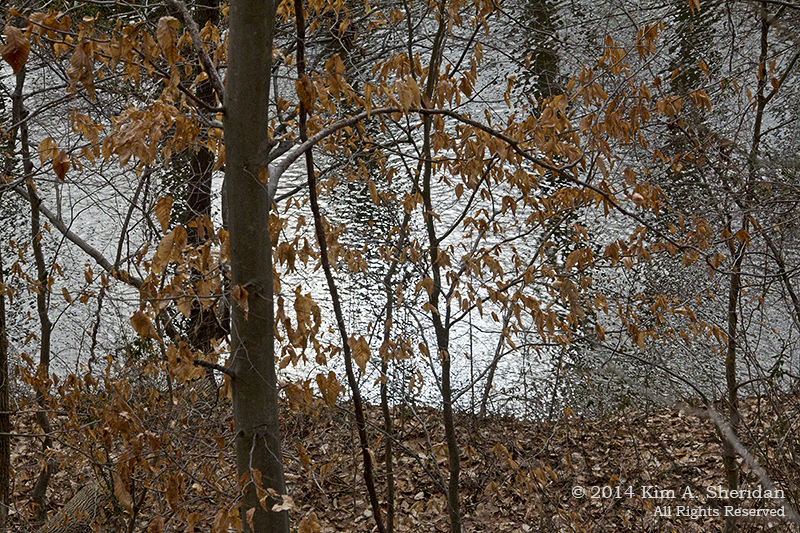 It added a challenge to the trails we frequent regularly, and introduced us to a new trail. There is no shortage of geocaches to search for, either, so this hobby should keep us amused for quite awhile. It will be quite some time before we can travel such easy and clear paths, however.